Providing you the best range of astronomical time switch, auto on-off time switch, digital time switch, hydroponic timer, timer switch and programmable timer switches with effective & timely delivery. Astronomical Digital Timer provide you the exact time depending upon Latitudes & Longitudes of the earth. We are manufacturer of Astronomical Timer for commercial as well as residential purpose. This timer is very useful to switch On and Off the electrical lamps in residential & commercial application. It gives accurate time with very low consumption of electricity. Daily Automatic On/Off as per Sunrise & Sunset time. All Season Auto Time Update. Visual Indication of Sunrise & Sunset time. LED display showing current time & date. 4 Digit seven segment LED display. Timer is used to manage electrical devices which requires daily on & off on particular time. For different Time settings are programmable for 24 hours. 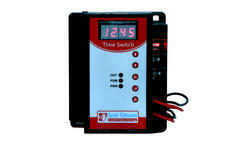 Digital Time Switch is designed by Jyoti Telecom. Jyoti Telecom is manufacturing company of Wireless Security Alarm Systems and Customized Embedded Software products. 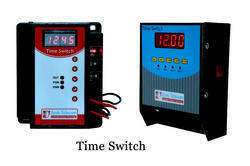 Digital Time Switch is used to auto on & off any electrical equipment on particular set time. For different Time settings are programmable for 24 hours. 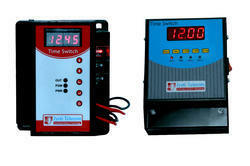 Jyoti Telecom is manufacturer of Timer, Counters, Astronomical Timer, Real Time Switch and Hydroponic Timer. Timers are used to manage electrical devices which requires daily on and off or periodical on /off. We customize the product according to the customer requirement and can avail it at best pricing as per industry standard and norms. Our supervisors make sure to manufacture this product using advance technology. Price range is convenient as well. Count down time shows on Display. Electrical equipment On/Off as per time cycle. Max output Load is 5 Amp at 230V AC. 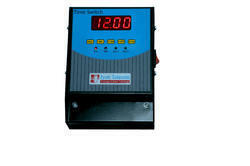 Time Switch is manufactured by Jyoti Telecom. It is use to manage electrical devices which requires daily on & off on particular time. For different Time settings are programmable for 24 Hrs. Set number of On/Off Task.